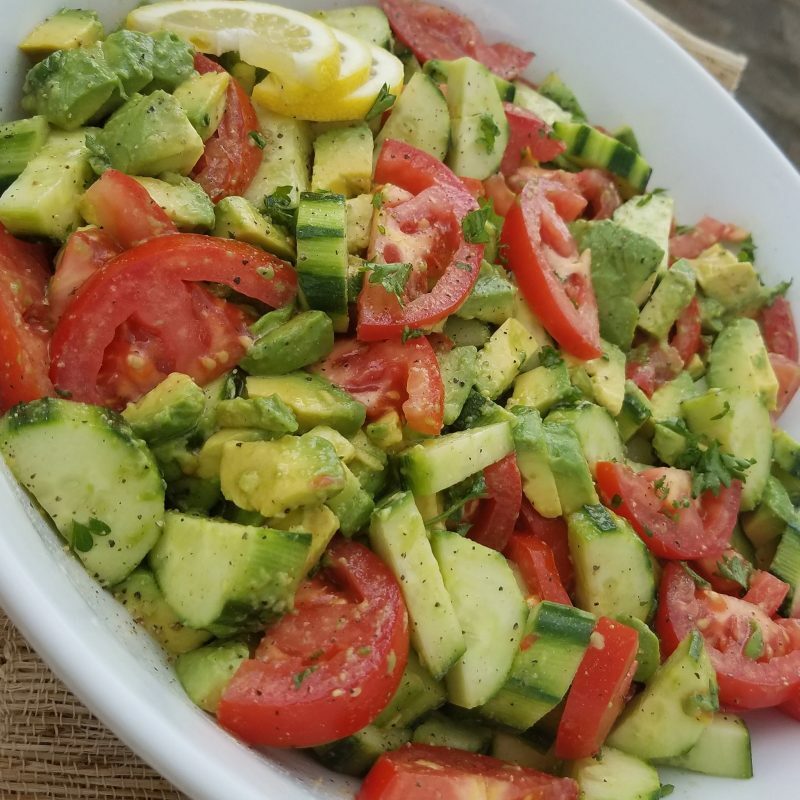 Summer Tomato Avocado Salad w/ our favorite homemade Greek dressing. 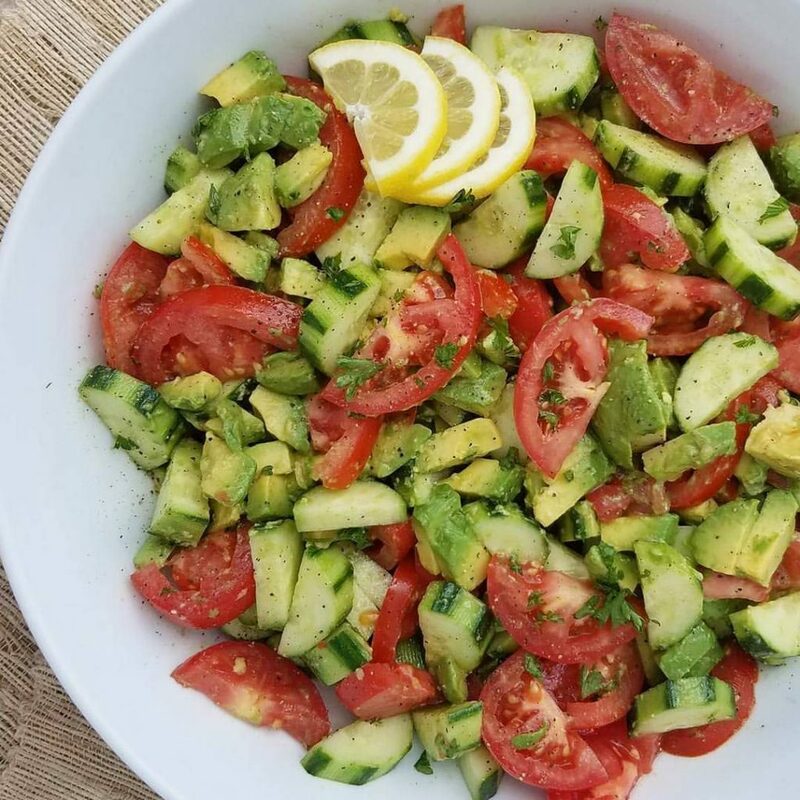 The flavor happening in this Salad is ridiculous! It’s so SIMPLE yet…not. Gently combine in large glass bowl. 4 Tbsp fresh parsley, minced. Very Gently combine dressing with the salad ingredients. Let sit 20 minutes for the flavor to develop. Gently combine Salad in large glass bowl.